Kermie, Piggy and Fozzie are back together again. 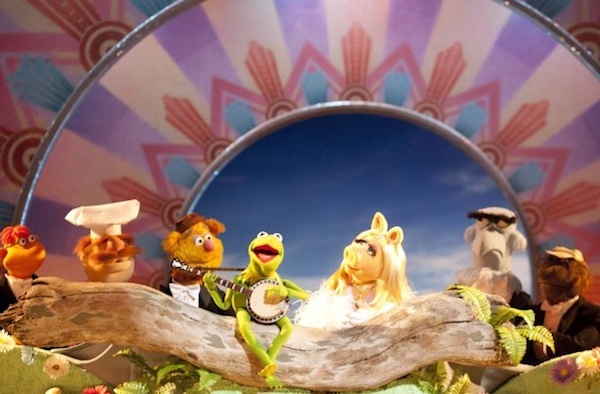 The highly successful reprise of the popular Muppet movie series is our number one pick in this week’s Redbox/DVDs/Blu-ray top five list. Kermit is back in this fresh look at your old favorites, The Muppets — now with more gusto than any Hollywood studio executive. When an evil oil tycoon (played by Chris Cooper) threatens to destroy the Muppet Theater, Amy Adams and Jason Segel get involved in the telethon of a lifetime. The dark, twisted thriller about a punked-out research assistant (played by Rooney Mara) who helps a journalist (played by Daniel Craig) solve a murder mystery in icy Sweden brought critical acclaim to the adaptation of the best-selling book by the same name. Russell Brand and James Marsden star in this animation/live-action hybrid where the Easter Bunny goes on an adventure to find himself. Laughs, carrots and hilarity ensue. This three-time Oscar-nominated film is about a semi-retired British spy who is asked to find a Soviet double agent among MI6 during the Cold War. The raunchy, lighthearted comedy about a babysitter who takes the kids he’s supposed to be watching on a wild ride around town is one you can’t miss. This will make the hair stand up on the back of your neck if you’re a mom who’s ever worried about leaving her kids with someone she didn’t really know. Jonah Hill for a Saturday night, anyone?